Noble Pokémon of wing and claw, flying high above the changing world! 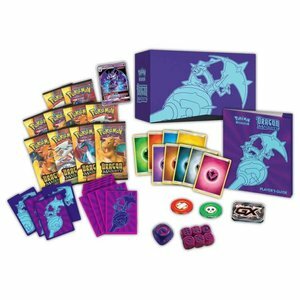 The Pokémon TCG: Dragon Majesty expansion brings a mighty horde of draconic Pokémon: Reshiram-GX, Salamence-GX, Dragonite-GX, and over a dozen more, including Charizard! Their command of fire, battle, and sky puts Dragon types at the top of many Trainers’ lists—get to know these amazing and challenging Pokémon in the Dragon Majesty expansion!